This seven layer salad recipe makes for an easy, quick and delicious dish for any occasion. This is perfect for a picnic or cookout. Layered with veggies, skinless chicken breast and low fat cheeses and Miracle Whip, it has fewer calories, fats and FreeStyle SmartPoints than other fattier versions of this recipe. If you are not counting points then use the nutrition information also available for this dish. Use it as a side dish, quick lunch or a healthy snack any time of the day. You can make this one for Mother's Day to show her how much you care, or try it for your next holiday event. No matter when or what the special reason is, this seven layered salad recipe is healthy and tasty. Layer the vegetables in a dish in any order you prefer. Put the chicken on the top layer after the veggies. Cover the chicken with miracle whip from edge to edge. 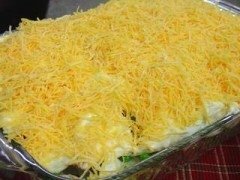 Top off this seven layer salad recipe with the shredded cheese. The skinless chicken breast and veggies were not used to calculate the FreeStyle SmartPoints. All other points do not include the vegetables in the calculation. You can swap out any of the vegetables for your favorites without impacting the Weight Watchers points since veggies are zero points. There are a few exceptions so be careful if you add any veggies that do have a points value. 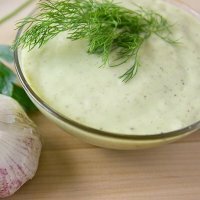 Instead of the Miracle Whip try this creamy chive dip for your layered salad. Here's a skinny layered vegetable salad from Betty Crocker that has a yummy buttermilk dressing for one of the layers. 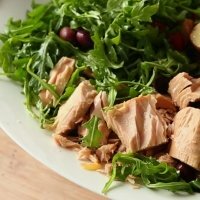 This Tuna Salad is paired with a Lemon French Dressing. The two go great together and makes for a light and healthy dish. 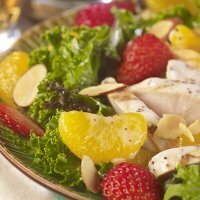 This salad is so juicy with all the fresh fruits you may even want to skip the salad dressing. Made with non-fat plain yogurt, low fat milk and some seasonings, this dressing has only 1 Freestyle SmartPoint. Salads aren't just for lettuce. 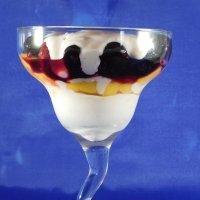 Check out this layered fruit salad with a delicious cream cheese fruit dip. 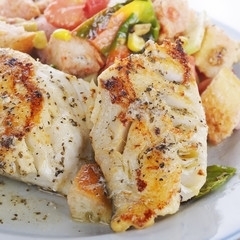 This baked mahi mahi has a ginger glaze that gives it a unique flavor and has only 6 SmartPoints for this meal. 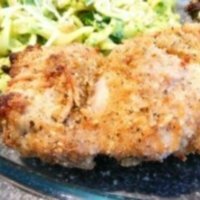 These chicken thighs are baked, not fried, so it's a healthier yet oh so tasty chicken dinner. Learning the right portion sizes can ensure you are not over eating. With the proper portion sizes, you can lose the weight you want. Food labels can be somewhat confusing at times. Check out this detailed explanation of how to read the different pieces of the food labels. The calories in your foods are made up of the three macronutrients - fat, protein and carbs. Find out how each of these nutrients impacts the total calories.